A landmark of its own among the campus and capitol buildings. Saunter in and check out the spacious guest rooms with fun Texas touches: Longhorn logos on the robes, prints of historic Austin, and a do-not-disturb door hanger that reads, “Studying In Progress”. One things for certain — visit once and you’ll be hooked. 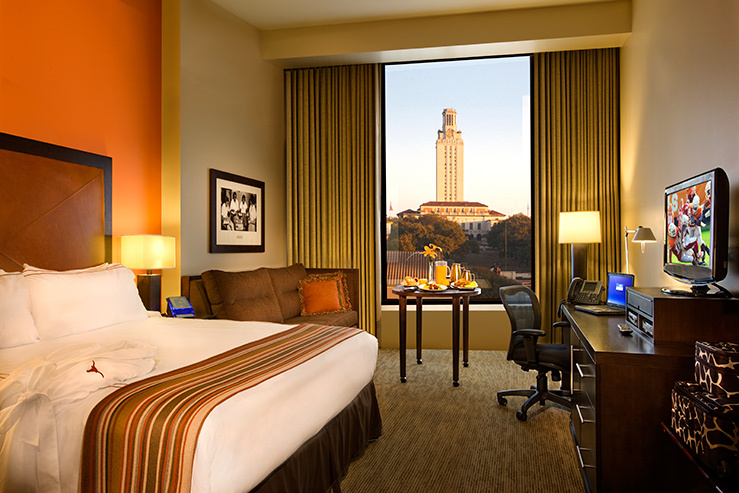 Book a room with a view of the University of Texas Tower, a Longhorn bathrobe, and football on TV, naturally. For those who seek a more civic than academic view, book a room with a Capitol view. 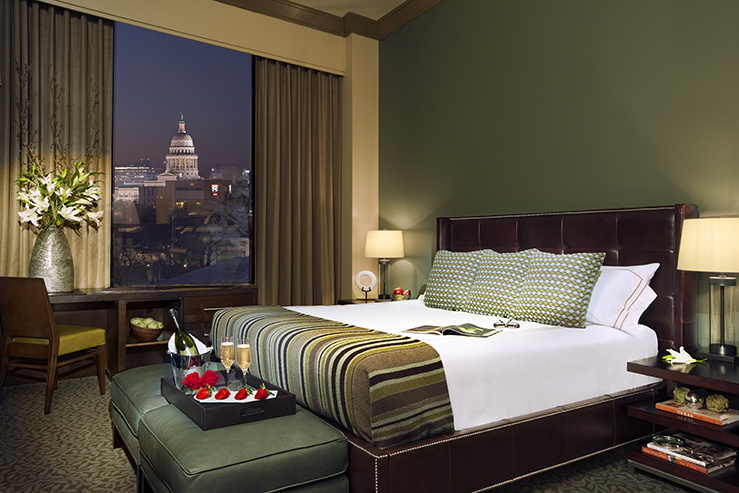 Or book the presidential suite to get both Tower and Capitol views. Lounge with Longhorns in the lobby. One of many meeting spaces. 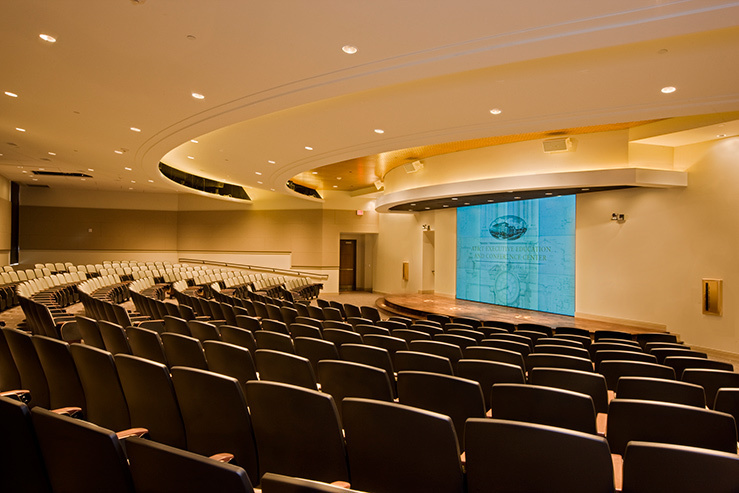 No matter what kind of event, you’ll find top-of-the-line facilities that fit the bill. Curious: is this an IACC approved center? We have several Stash partner hotels that are IACC approved, many of them offer points to planners and attendees. If you have any questions about partnering with a Stash hotel for meetings and conferences, let us know. We’re happy to help!